We start by conducting a 25 point exterior home inspection to include roof, siding, windows, and soft metals to see if you might qualify to make a claim with your insurance company. We use state of the art hail maps to find where damage most likely has occurred. We are experts in home restoration in the state of Minnesota. 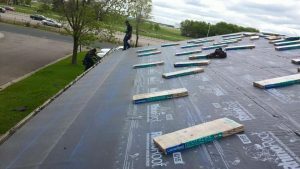 We will take you step-by-step through the insurance claims process and complete all necessary repairs using top of the line materials and professional craftsmanship, making us one of the top contractors in Minnesota for restoring hail, and storm damage. We are licensed general contractor for the entire state of Minnesota. We are happy to work anywhere there are people effected by storm damage who can use our expertise. Based in Blaine, Minnesota we have proudly restored thousands of homes across the state. Offering the piece of mind of a bonded company, we are a company that put integrity above all else to ensure you know you are working with experts you can trust with one of your biggest investments. More than just a house, we help restore your home for you and your family. We carry full liability insurance for all of our crews so you know that in the event of an accident, our company will take care of our employees. Our mission is to take care of our customers, our employees, and our community. Minnesota Custom Exteriors proudly carries a rating of A+ with the Better Business Bureau. We stand behind our work and our customers are our biggest supporters, with over half of our work coming from referrals. QUESTIONS ABOUT THE CLAIMS PROCESS? ROOFING? HAIL DAMAGE? ASK OUR EXPERTS. WHEN STORM DAMAGE HITS. CALL YOUR HOME EXTERIOR EXPERTS. Minnesota Custom Exteriors delivered above and beyond my expectations. Every person I met on there staff and crews were professional, and they went above and beyond to provide excellent service. Our home looks and feels brand new again! Unlike other companies, we use only the highest quality products. We do not cut corners, and the difference in quality shows. 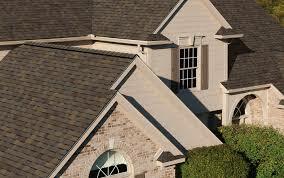 For roofing we use Owens Corning Shingles. See our professionals at work. Every day our crews are restoring roofs, siding, windows, gutters and more throughout the Twin Cities and around Minnesota. Contact us to see if we are working in your neighborhood today. Minnesota is the second largest market for home restoration in the U.S. There were over 70,000 homes effected in the Twin Cities area alone in 2017 from hail damage. 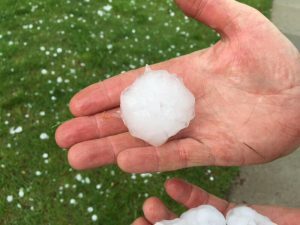 This year, August brought damaging hail to Stacy, Wyoming, Chisago city, Scandia and much of the surrounding areas. Schedule a free inspection today to see if your home suffered a replaceable loss. MC Exteriors Inc. is a general contractor that you can trust. We specialize in the insurance claim process and pride ourselves on hard work and high quality results. It is our promise to exceed your expectation in the restoration of your home. Professional installation, top quality products, and people who care is MC Exterior’s road map to success in restoring your home. Insurance claims can be time consuming and stressful. Our professional staff will navigate this process for you at no additional cost. All MC Exterior clients work with a personal representative that will walk you through the process: start to finish.